When your download is complete, double click on the downloaded file. 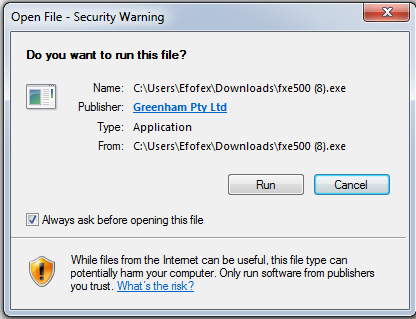 Allow Windows to run the file by clicking Run on this dialog box. When the setup file opens, follow the on-screen instructions.